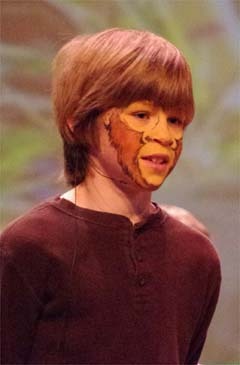 Onekama School 4th Grade Presents "Welcome to the Jungle"
The fourth graders put on a spectacular performance called Welcome to the Jungle. 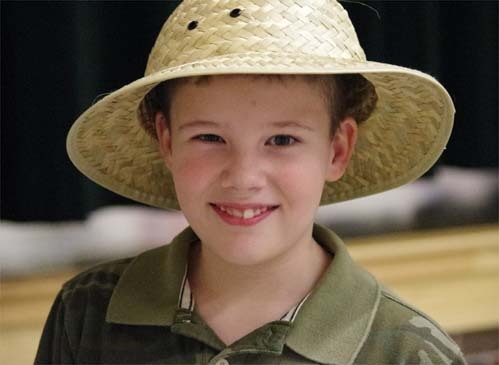 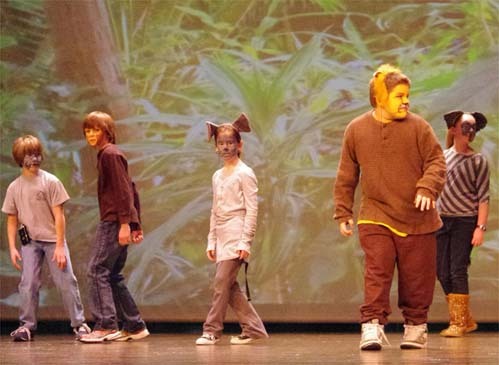 All of the fourth graders have been hard at work for the last month or so putting together the performance, which included the portrayal of jungle animals, singing, speaking, and acting. 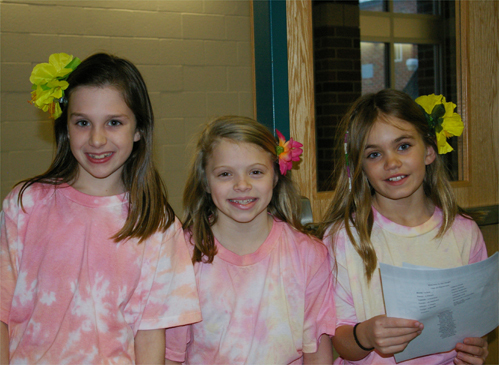 They also collaborated with Ms. Woolman during their art class times to make tie-dyed T-shirts. 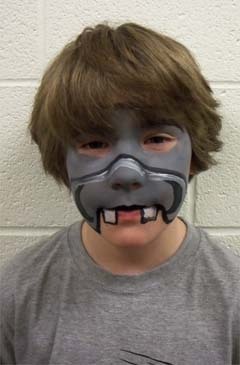 Thanks to Ms. Wooman for all her help! 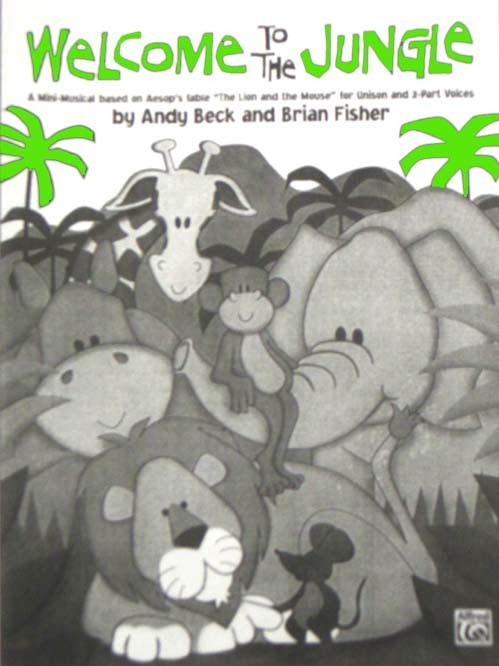 The moral of the story was that everyone needs a friend. 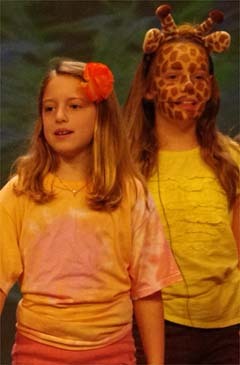 They did a fantastic job in today's performance. 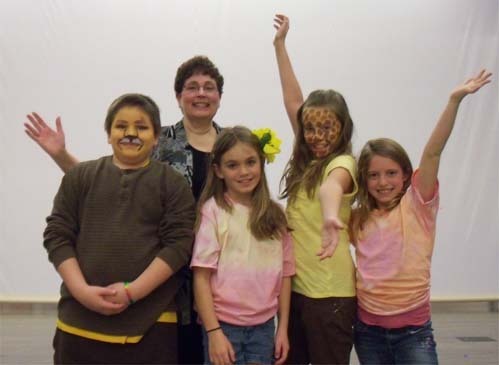 A big thanks goes out to Mrs. Joseph for all her hard work, as well as a congratulations for directing a wonderful performance that was enjoyed by all. 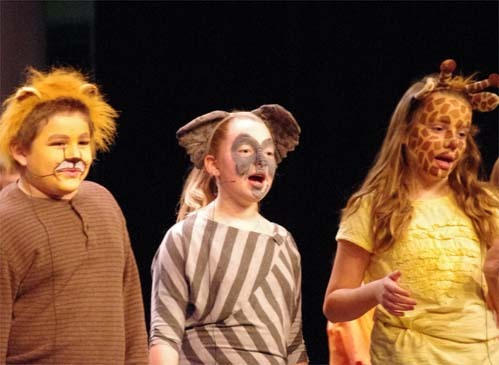 There are many talented and upcoming performers in the class of 2020! 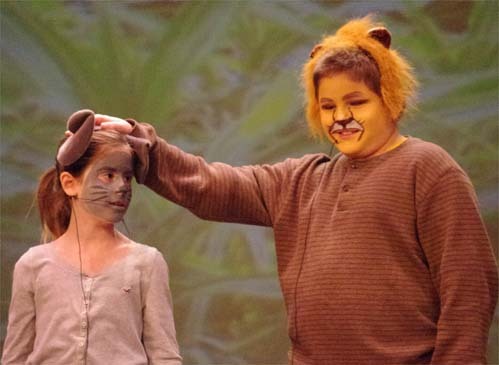 The musical is based on Aesop�s Fable �The Lion and the Mouse� and was written by Andy Beck and Brian Fisher. 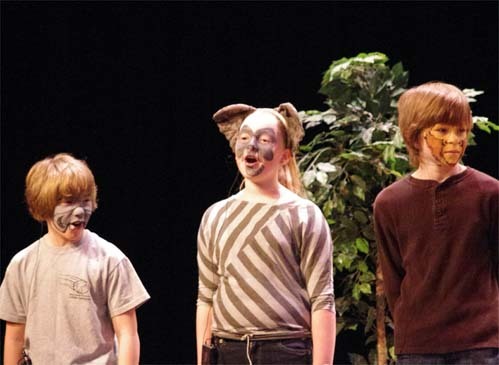 Following auditions, Mrs. Joseph�s students spent a full month memorizing their parts, learning the songs, and rehearsing for the play. 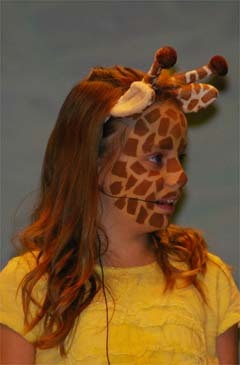 The results were spectacular. 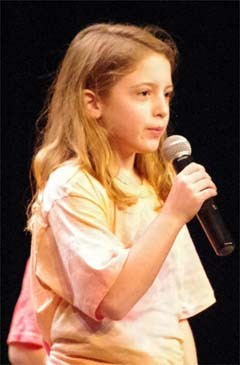 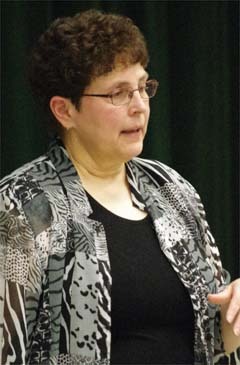 Two performances were held on Tuesday for parents and students. 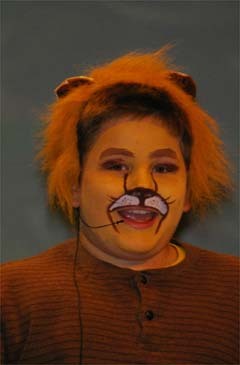 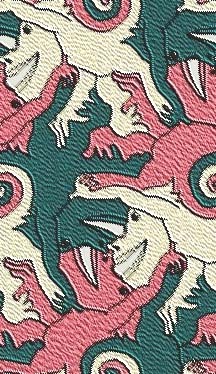 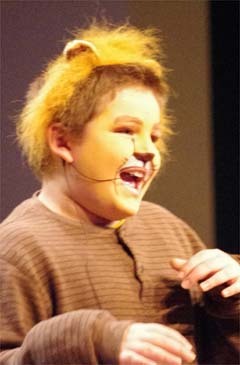 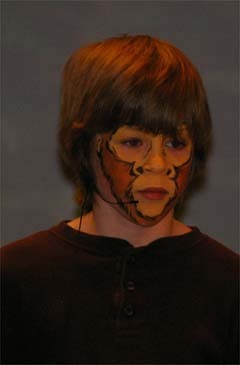 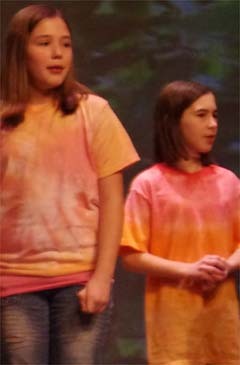 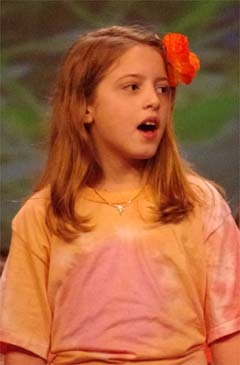 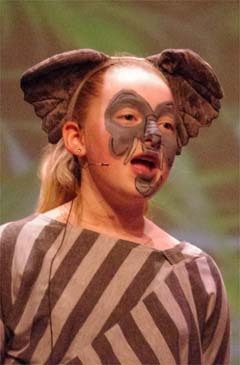 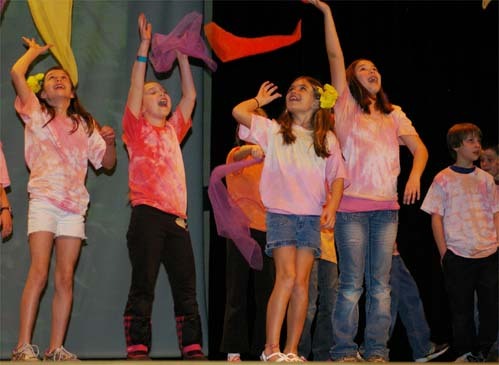 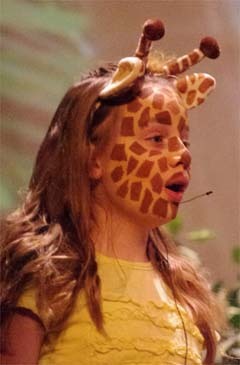 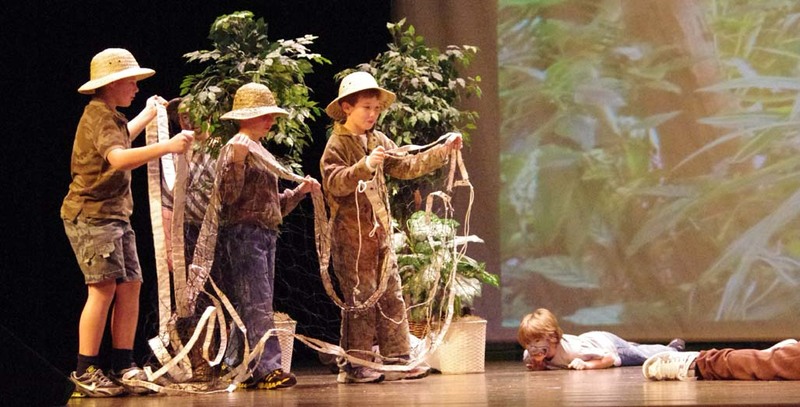 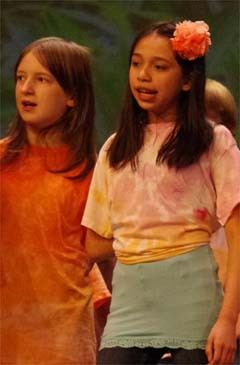 The musical included the portrayal of jungle animals, singing, and acting. 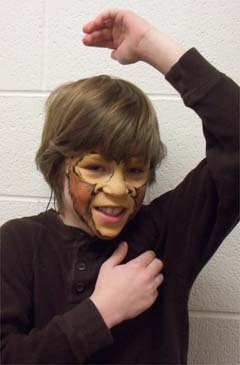 Like the fable it was modeled after, the moral of the story was that everyone needs a friend. 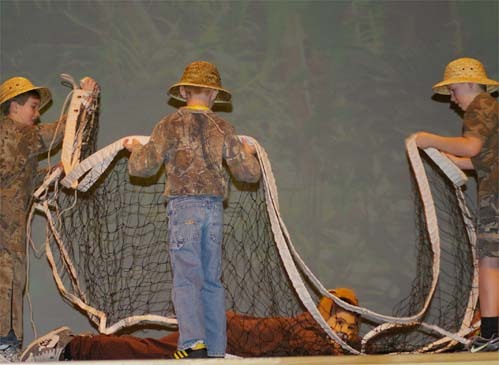 As with most Onekama School activities, there was great cooperation by many groups to bring this story to life. 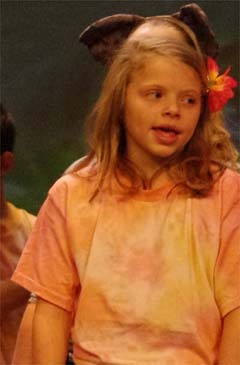 Through collaboration with their art teacher, Dana Woolman, the students tie-dyed their storyteller shirts in art class. 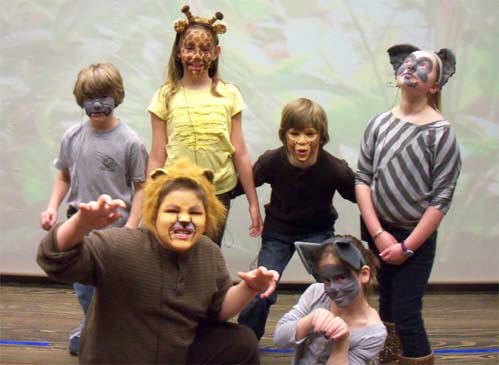 High school students Madalyn Harvey, Emily Barnard, Mikayla Johnson, Danielle Ward, Jaylee Brown, and Jennica Mathieu assisted with painting the faces of the jungle characters. 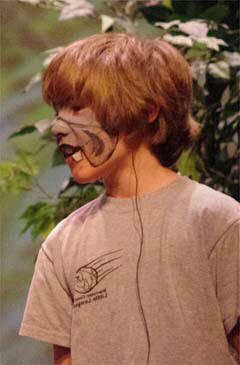 Student Dalton Olson was the stage hand. 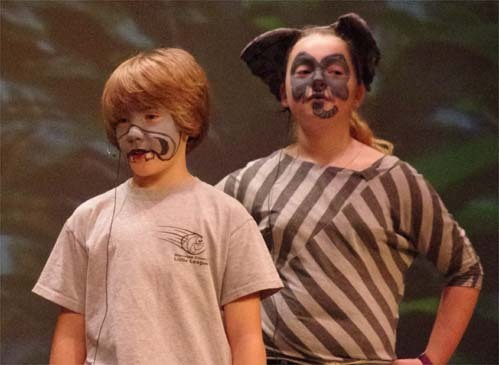 Mr. Bruce Peabody and Paul Cunningham provided technical support with lighting, sound, and set backdrop. 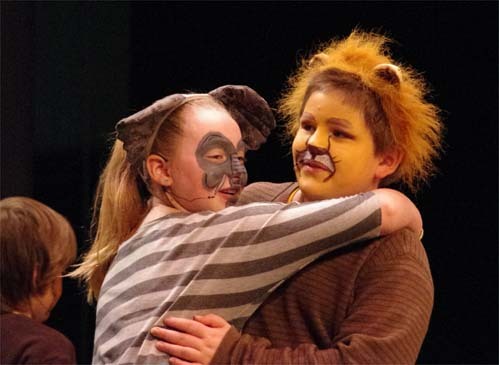 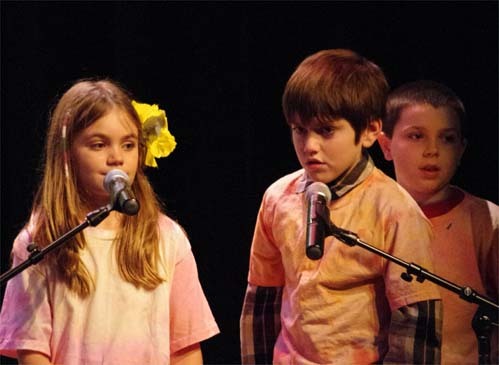 �The students gave 100 percent in their performance, and it was fantastic to see it all come together after a month of hard work and preparation,� commented fourth grade teacher Tracy Bennett.